Workflow Automation in the VI Service Desk - VIS, Inc. 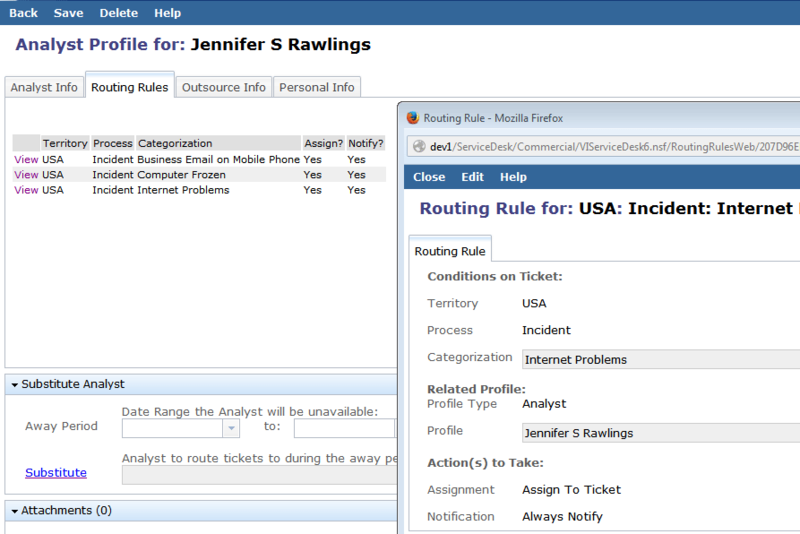 Create routing rules to assign and notify the proper resources of new tickets. Configure flexible approval workflows per territory/site or across your entire organization. Associate approval workflows to request and/or change categories to automatically start an approval process when a request or change ticket with a matching categorization is created. 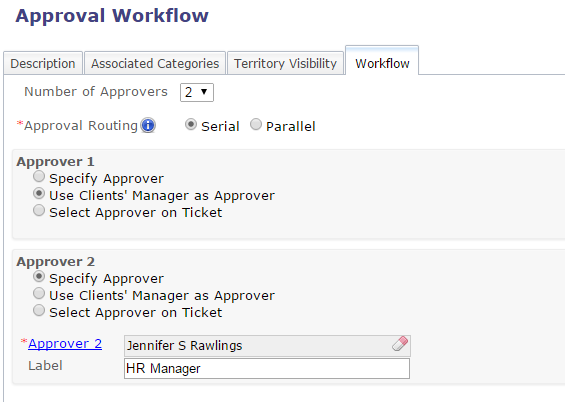 Configure groupings of tasks with a serial or parallel workflow. Associate task workflows to request and/or change categories to automatically create tasks when a request or change ticket with a matching categorization is approved. Custom Fields can be defined for each category as well as each subcategory and are automatically displayed when the matching categorization of a ticket is chosen. 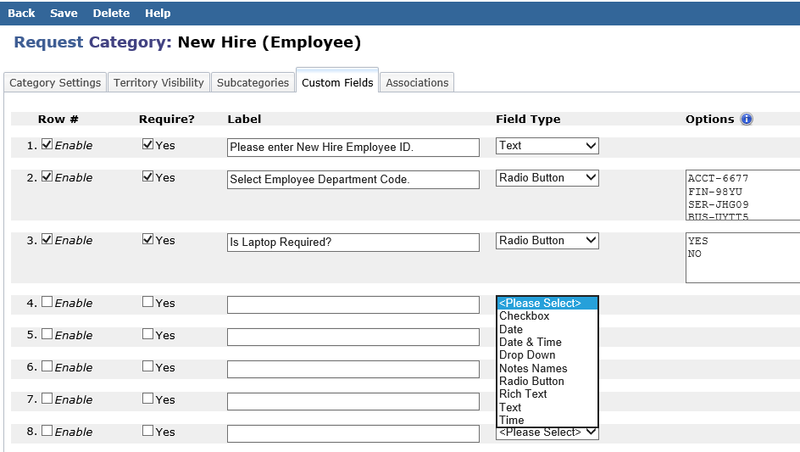 In addition, custom fields can be made required and made to display as a variety of field types: Text, Radio Buttons, Checkbox, Date, and more. 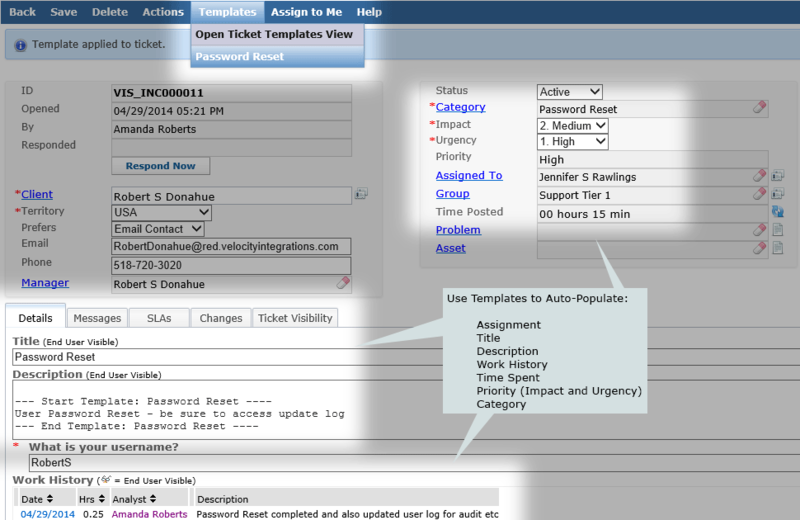 Quickly submit common incidents such as printer problems and password resets by applying a Ticket Template. Title, Description, Work History, Time Spent, Priority (Impact and Urgency), Category, and Assignment are auto-populated. 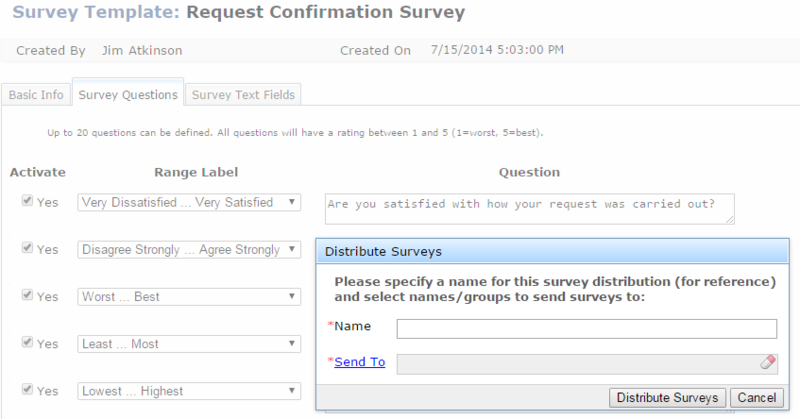 Mass distribute surveys or specify a survey to be automatically sent when a ticket is completed. All surveys are generated from Survey Templates. Surveys can be made anonymous.